The Martin Luther King Jr. Memorial Library is closed for a three-year modernization. During this time, the Black Studies Collection is undergoing a major collection maintenance to improve access to resources. As a result, some materials will be unavailable. A selection of titles has been added to our circulating collection and is available at Woodridge Neighborhood Library. Selected Black Studies microfilm materials are available at the Washingtoniana interim location during the MLK Library modernization. Prior to the opening of the Martin Luther King Jr. Memorial Library in 1972, there was a growing demand for circulated books by and about African Americans among Washingtonians. In an attempt to meet this need, the DC Public Library Board of Trustees voted to establish an independent Black Studies division in 1970. The Black Studies Center housed over 15,000 books focusing on the Black experience in the United States and throughout the African diaspora. In addition, the Center maintained subscriptions to local and national African American newspapers and a collection of historic Black newspapers on microfilm. Since its inception, the Black Studies Center hosted events featuring authors and public speakers on topics that further the study and discussion of the contributions of African Americans in the United States and abroad. 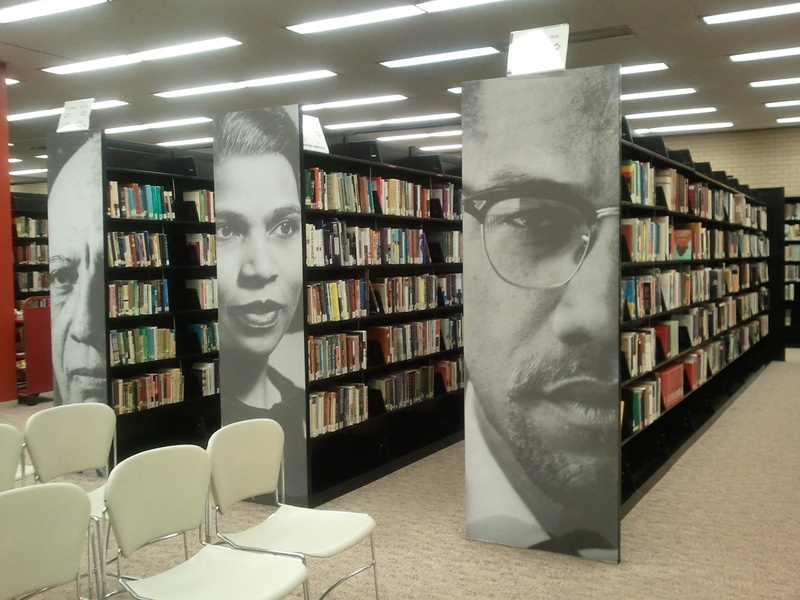 As a unit within the Special Collections Department, the Black Studies Center functioned as a public space for research, reading and community dialogue. A re-imagined Black Studies Center will be included in the new MLK Library when it reopens in 2020. To learn more about updates and plans for the center, please sign up for our Special Collections newsletter. Use your library card and PIN number to log in to our Black Studies digital resources.